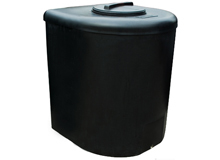 Our 1000 litre water tanks are a cost effect solutions for the storage or potable and non-potable water. 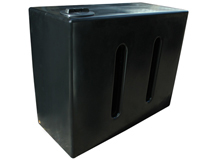 They are manufactured from UV stable polyethylene suitable for external storage. 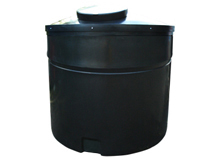 Each tank is fitted with a vented (non vented if potable) lid. These range from 9" to 14" depending on the style of tank. 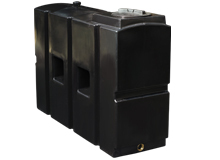 Each tank is also fitted with a 1" BSP outlet perfect for connecting taps, shut off valve or other accessories. 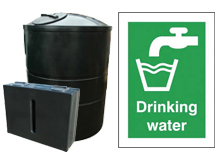 Our 1000 litre potable water tanks manufactured using WRAS Approved polyethylene Icorene 1314 DW Black 9001 or Revolve N-748 Black approved under WRAS Approval 1202543 and 1201523 respectively. All the prices on Ecosure.co.uk include delivery costs. Most water tanks will be delivery within 3-5 working days. Some tanks are available for next day delivery, please call 01763 261781 for details. As the buyer, you should ensure there is safe, adequate access and provide your own off loading facilities. The off loading facilities should be suitable for heavy items; forklifts, cranes or Hiab's are suggestions. If you're in any doubt about off loading, please give us a call and we'll help find the most cost effective solution. Storing drinking water shouldn't be done using a standard water tank; you should use a potable water tank. 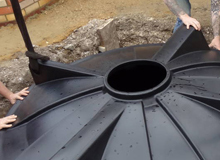 This is a water tank that has been specifically made with virgin (non recycled) plastic. 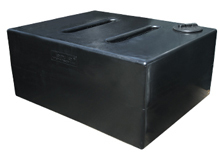 Most rectangular water tanks are made with two vented lids; this is so you are able to add both the inlet pipe and the breathing vent at either end of the tank. 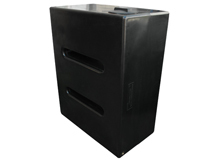 These are perfect for music festival sites and campsites. 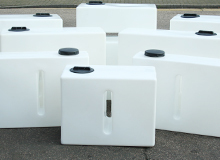 Using a baffled tank is the safest way to transport water in the back of a van, truck or car. These are mainly used by car valeters and window cleaners for transporting pre filtered water to their next job. 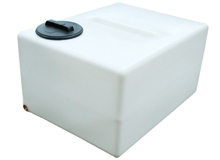 All our baffled tanks are fitted with an 8" vented lid ideal for installing a submersible water pump if required. At the bottom of the water tank is brass outlet, the size of which will depend on tank volume. 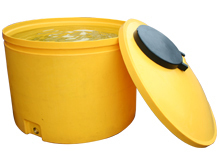 Our insulated water tanks are ideal for protecting your water from cold temperatures. 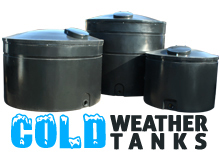 Insulated tanks are constructed from two water tanks, a smaller tank inside a larger one. 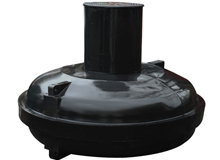 Located at the bottom of our insulated water tanks is a 1" BSP outlet.